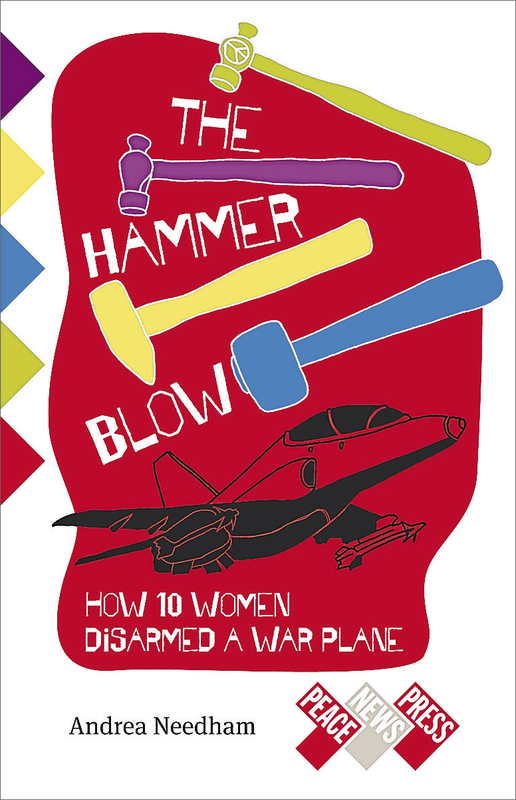 On 29 January 1996, Jo Blackman, Lotta Kronlid and Andrea Needham broke into a British Aerospace factory in Lancashire and used household hammers to disarm a Hawk warplane bound for Indonesia. They were arrested, charged with £2.4m of criminal damage, and sent to prison to await trial. A week later, Angie Zelter joined them, accused of conspiracy. After six months in prison, all four were acquitted by a Liverpool jury in a court case that effectively put Britain’s arms trade on trial. The disarmament could not have happened without the support of the other six members of the Seeds of Hope Ploughshares group – Lyn Bliss, Clare Fearnley, Emily Johns, Jen Parker, Ricarda Steinbrecher and Rowan Tilly – who were absolutely integral to the whole action from the very start. Andrea Needham’s new book, The Hammer Blow – how 10 women disarmed a warplane, will be published by Peace News on 29 January, the 20th anniversary of the action.